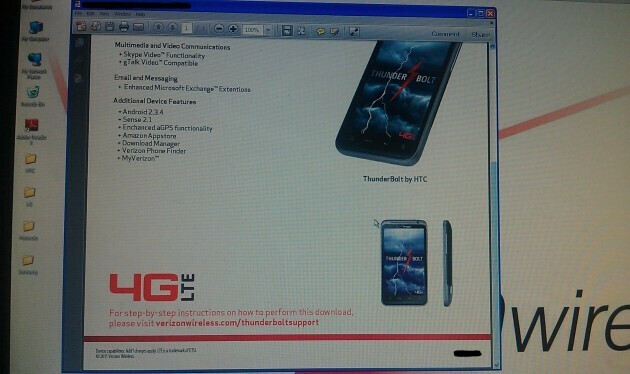 A source called a "Verizon Insider" by Android and Me has provided two screenshots of a release notice for the HTC ThunderBolt. According to the notice, the LTE enabled handset is expected to receive an OTA update on June 30th that...get ready...will load up the phone with Android 2.3.4, which means gTalk support. Also included with the update is Skype video capabilities and a pre-installed Amazon AppStore. This sounds like a dream come true for HTC ThunderBolt owners who have been watching and waiting as other handsets have been receiving Gingerbread. 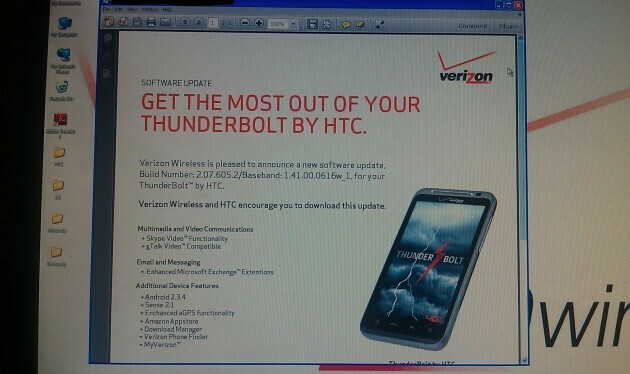 With the latest and greatest Android OS release soon to be under the hood, if the screenshot is for real, this could change the mind-set of the typical T-Bolt owner who had been wondering if they made the right decision to jump onboard Verizon's first 4G enabled handset. Start the countdown. While the source did say that there could be some changes to the download, the June 30th date is allegedly firm. Of course, regardless of which Android phone you own, you have heard that song before. Hopefully, there will be no glitches. I just rooted my Tbolt today thinkin I didn't wanna wait much longer to get gingerbread and now this comes through, hahah. Well either way better to be rooted and just keep getting awesome roms, that and this is supposed to not be that credible of a source. So we will see. well I can't comment on the credible source, but i can on the screen print cause I seen it myself today. Yeehaw. If you are patient, good things will come to you. I am impressed with the relative speed with which Gingerbread is being pushed out to handsets. Its not real. I was excited this morning when i saw this. But the word is out. FAKE news. I'll believe it when I see it announced officially from Verizon and it is on my phone. If any Verizon LTE phone needs the gingerbread update badly, it's the Droid Charge. My roommate has the phone and he bought his girlfriend the Thunderbolt. He has had nothing but issues with the phone, insane lagging. Even when he made it so he only has three homescreens and a basic wallpaper the phone lags like crazy. I had him use the instant kill on his Task Killer and it only showed afterwards that he had 70MBs of free memory left. My Droid X usually gets 140-160MBs of free memory after a instant kill on task killer. I tried out the Samsung Infuse, worked perfectly very fast and snappy. The Thunderbolt also works very well too. The only problem with the Bolt is that it does NOT have a Gorilla Glass. His girlfriend dropped her Thunderbolt once, the screen cracked. I also had a Thunderbolt when it first came out and suffered the same fate. I bought it from Best Buy and had the black tie insurance on it. They gave me a brand new one a couple weeks after they "tried to repair the screen". Needless to say, I decided to sell the new phone as I did not want to experience this again. I agree with you that the droid charge needs gingerbread. But you don't need a task killer on the phone it can all be done from setting screen under the applications tab under manage applications and under the running tab. Chose the program you want and force stop it to close the running program. I work in the Tech department for Verizon and it is not recommended to have a task killer. I have a droid charge and have no problems with my phone, I have all 7 homescreens and it is very fast and snappy with zero lag. 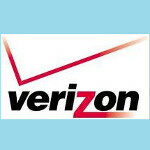 If you roomate is having problems, I would go into verizon and have the phone looked at. Almost all HTCs support Video Out via an HTC tv out cable, complete with mirror mode. Now Im really piss off that my Atrix is the only phone left NOT TO RECIEVED GINGER BREAD. I still feel like I gott screwed again even though the Atrix came out first before the Thunderbolt. Looks like my cappy Atrix will never recieve GINGER BREAD. FK U MOTOROLA! As of this moment (Thursday, June 30, 2011 9:00 a.m.), I have not received my OTA update. Still no update. June 30 .2011 @ 22:00 and still no update. Well its july 1st at 5pm on the east coast usa. No updates on my thunderbolt. What gives. I want my random reboots gone.